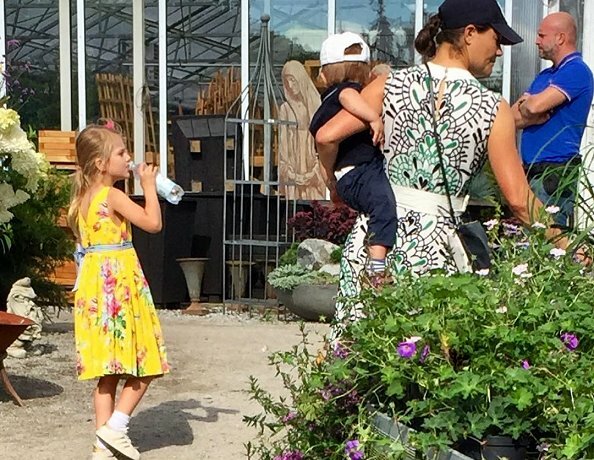 Crown Princess Victoria, Princess Estelle and Prince Oscar were seen Ulriksdal Palace Garden (Slottsträdgården Ulriksdal) in Solna yesterday. Both the palace and the garden are open to the public during weekends in spring and autumn and daily in the summer months.Ulriksdal Palace is situated on the banks of Edsviken Lake in the National City Park in Stockholm. Agree about Estelles lovely dress. And I also like Victorias!